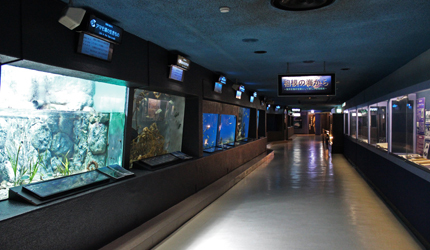 Keikyu Aburatsubo Marine Park is an indoor and outdoor leisure center and aquarium offering a wide range of displays and exhibits. 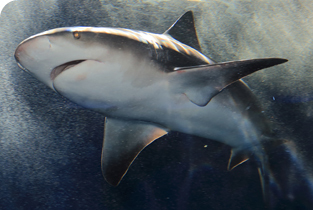 The Sakana-no-kuni, or World of Fish, aquarium is home to a multitude of sea life, including 3m-long sharks. In the outdoor Kawauso-no-mori, or Otter Forest, you can observe how delightful small-clawed otters and other rare creatures live. In the ‘Fantasium’ Indoor Ocean Theater, enjoy an exciting dolphin and sea lion musical performance enhanced by the best lighting and sound, from the comfort of your seat, whatever the weather. Around 450 species, a total of 6000 creatures from the adjacent Sagami Bay are on display. 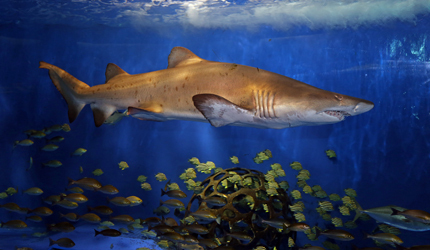 Sharks up to 3m in length swim freely in this doughnut shaped tank giving visitors a 360° view. 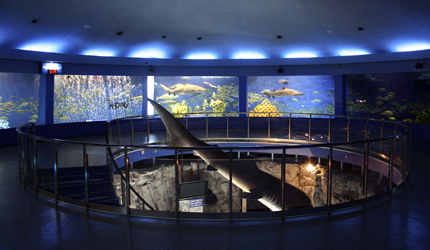 The display area, a simulated forest, is home to otters and other rare animals. 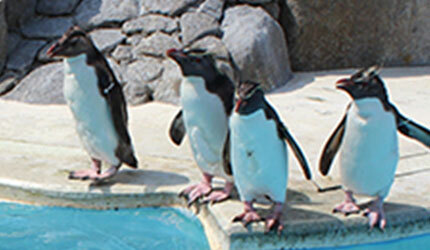 Observe carefree frolicking penguins in their outdoor enclosure. 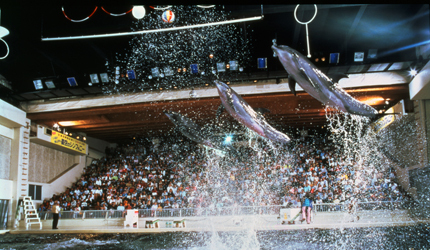 Sit in a comfortable seat in this indoor theater and enjoy a dolphin and sea lion performance, whatever the weather. Dolphins perform a range of tricks while they are being fed. This show highlights the keen sensibilities that fish possess. 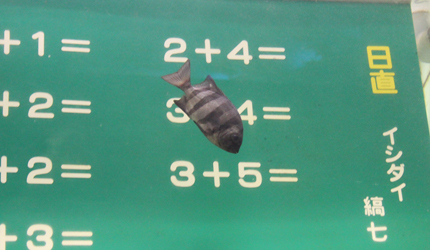 Feeding in the Round Tank is used to explain fish ecology. 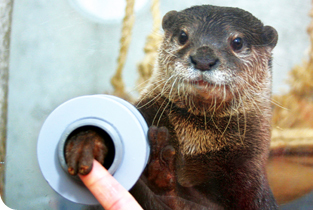 A wide range of interactive events take place at Keikyu Aburatsubo Marine Park, such as petting the ever-popular dolphins, sea lions and otters, and feeding the fish behind the scenes at the aquarium. There is a charge for these events and they must be booked in advance. For details please visit our Japanese language website. 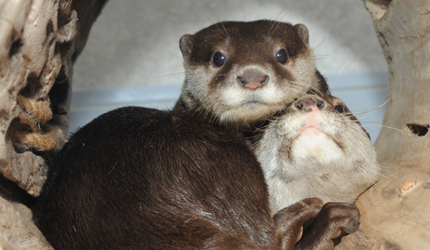 Feed and pet the otters! 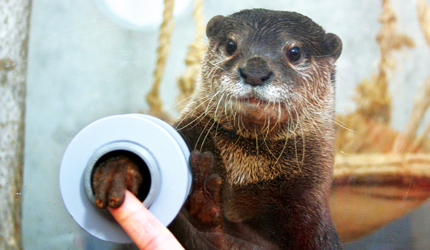 Give a fish to an otter and gently shake hands with it. 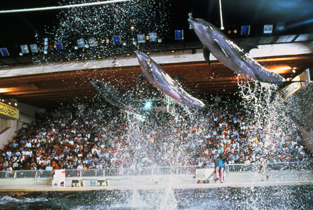 Give fish to the dolphins in the pool. 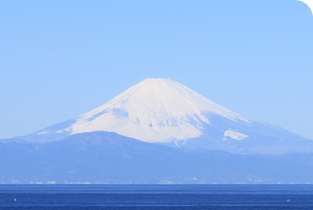 In good weather, the view from the park over Sagami Bay and Mount Fuji is spectacular. We hope you enjoy this most Japanese of landscapes. 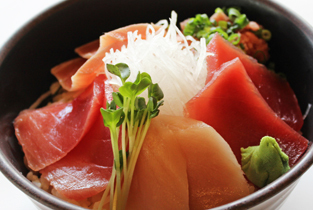 The Log Terrace restaurant in the park offers an extensive menu, including Kaisen Don (a bowl of rice topped with sashimi raw fish) made with local specialty Misaki tuna. 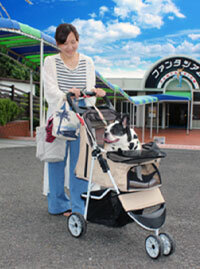 Pet 500 yen Certain documents must be submitted if you wish to bring pets into the park. (Please visit our Japanese language website for details). ※The following credit cards may be used for paying entrance fees. ※There is no ATM in the park or in the immediate vicinity. Car Per day 800 yen Prices may vary in the summer. ※Please contact us if you are planning to come to the park in a coach. ※Last admission is 30 minutes before closing time. ※The park is closed for 4 days after the 2nd Monday in January. ※Opening hours may vary in winter, in busy periods and during the end of year holidays. Please visit our Japanese language website for up-to-date information. Pets may be brought into the Marine Park. Please check the rules detailed on our Japanese language website. 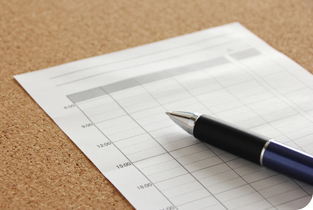 ※The timetable may vary for consecutive holidays and the end of year holiday period. Please visit our Japanese language website for up-to-date information. 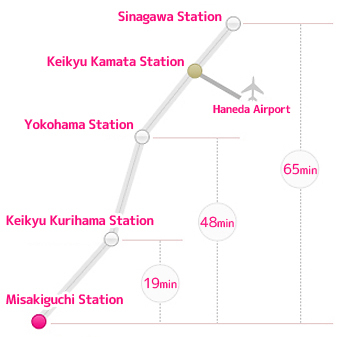 ※Depending on schedules and time of day, buses may only go as far as the ‘Aburatsubo’ bus stop. Can I borrow a wheelchair or baby stroller? Yes, they can be borrowed free of charge from the ticket office. Please note that only a limited number are available. In some areas, yes. 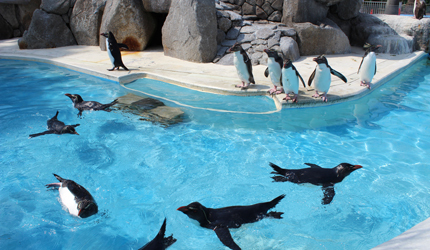 You may want an umbrella in the outdoor facilities (Ashika-jima (Sea Lion Island), Penguin-jima (Penguin Island), Kawauso-no-mori (Otter Forest), etc. ), and when moving between indoor facilities (Miura-sizenkan (Nature Pavilion), the restaurant, etc.). You will not need an umbrella in the indoor facilities (the ‘Fantasium’ performance venue, the Sakana-no-kuni (World of Fish) aquarium, etc.). Entrance fees only can be paid with the following credit cards. These cannot be used in the restaurant or in shops in the park. Is there a nursing room? Is there hot water service for making baby milk? Yes, there is a nursing room in the park. Regular kettle-heated water can be provided in the office. Please inquire at the ticket office if you wish to use this service. Copyright 2000 Keikyu Aburatsubo Marine Park All Rights Reserved.